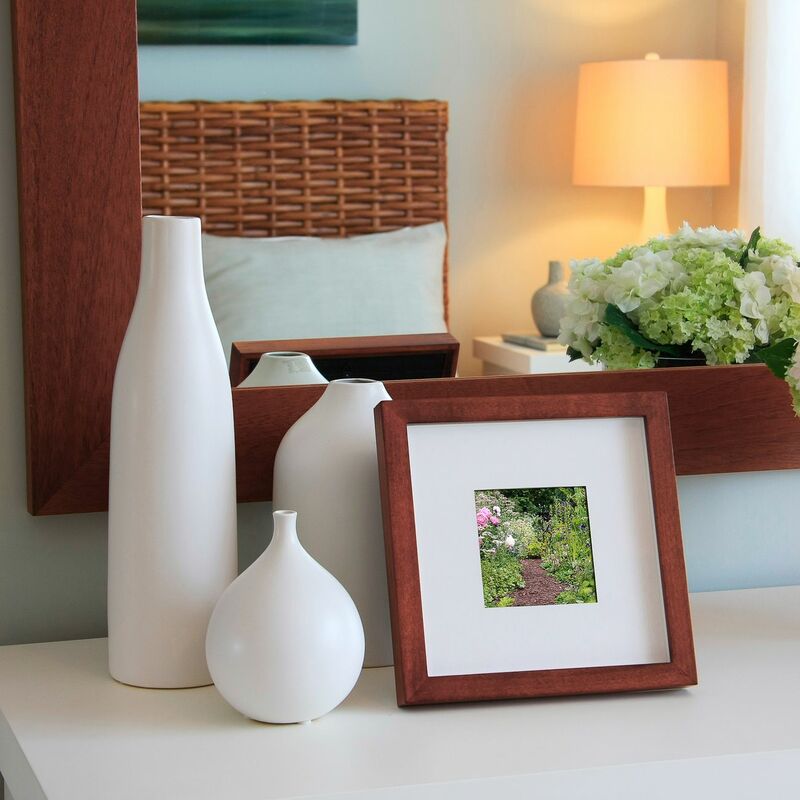 Whether you live in a studio apartment or a 5-bedroom home, your interior design is something that your guests will notice immediately as they enter. 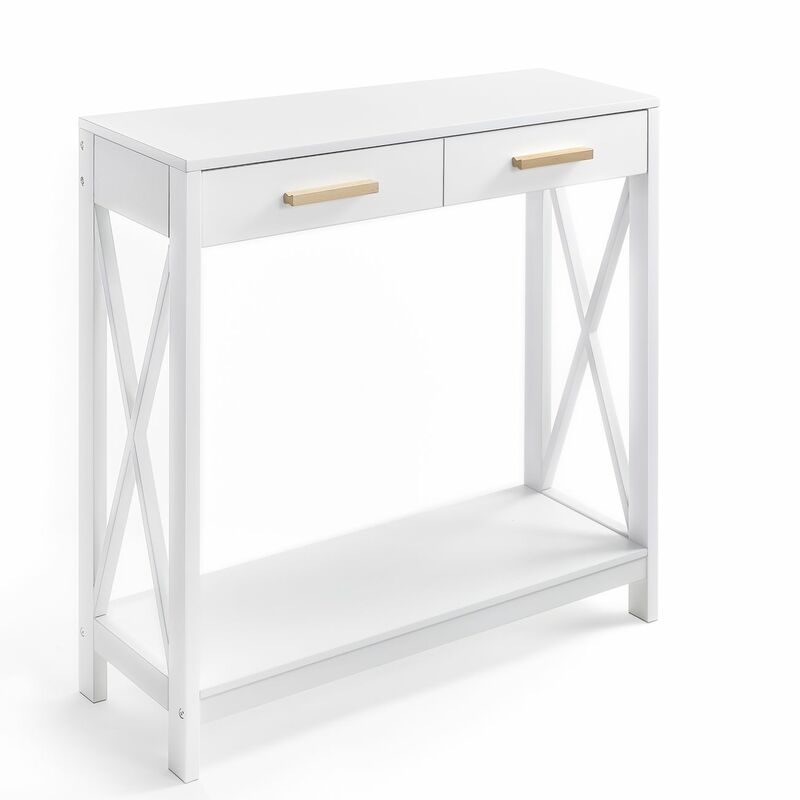 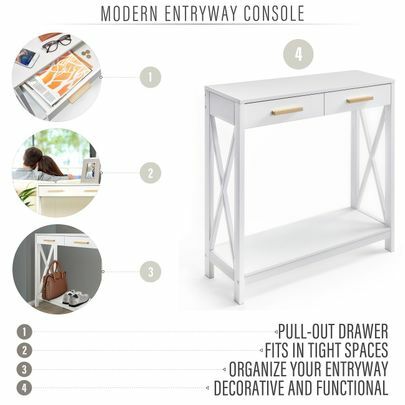 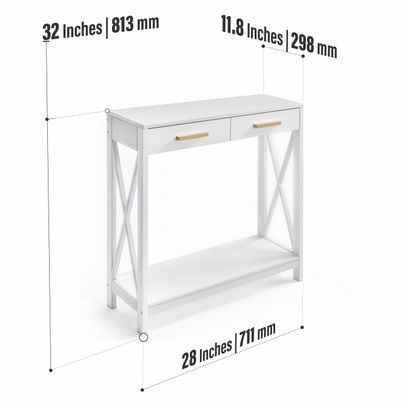 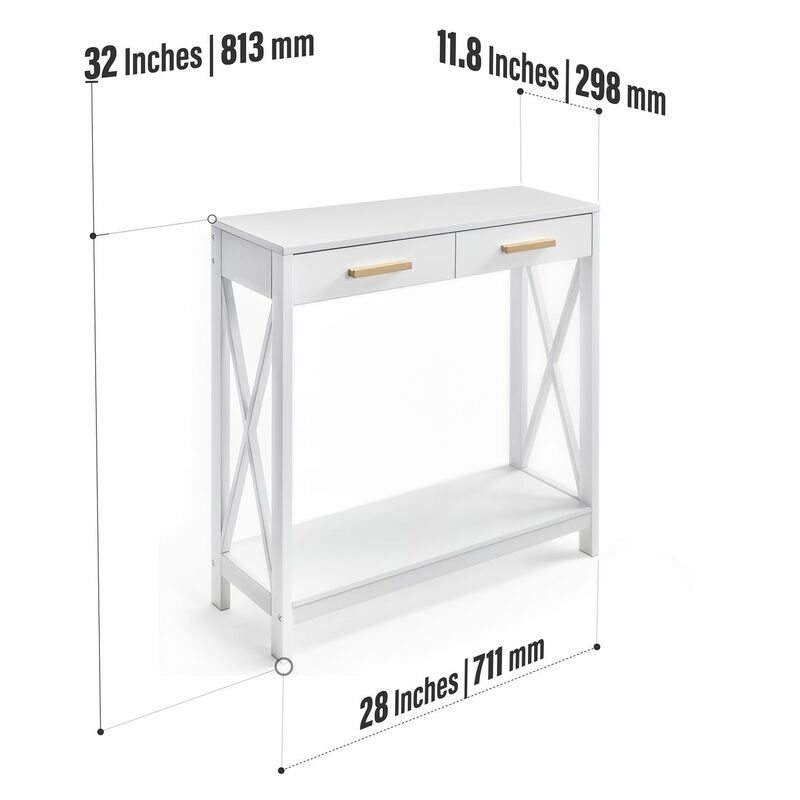 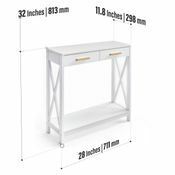 The Prosumer’s Choice entryway table is your chance to enhance your living space through its stylish and affordable modern design, while helping you and your family stay organized. 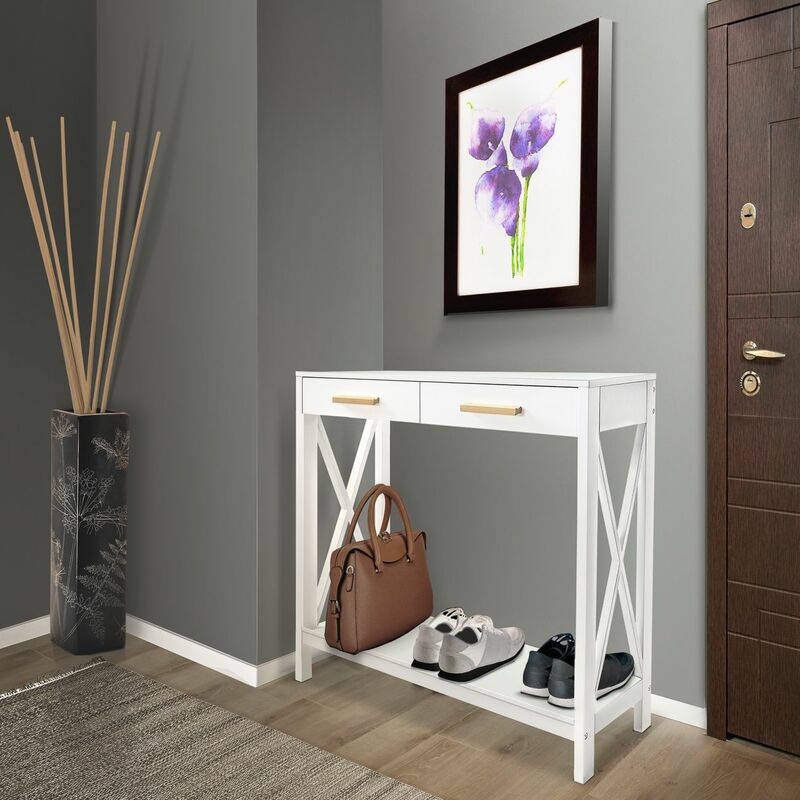 This easy-to-assemble doorway table keeps the clutter at bay by giving keys, mail, gloves, shoes, cellphones and all those knick-knacks a home so that you will always have them when you need them most. With dimensions of 28” in length, 32” tall and 12” deep, the narrow profile fits nicely in tight quarters while the table top can be used to display family photos or hold a lamp to brighten any entryway with ease. 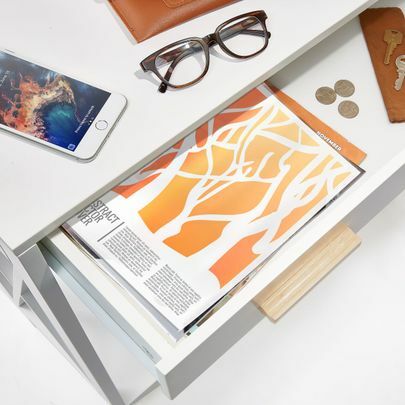 This console also includes a single pull-out drawer that is the perfect place to store items that often go missing such as keys and phones or for things you don’t want to look at but need to know where they are. Since shoes and backpacks always seem to gather at the entryway, our table includes a bottom shelf to keep these items out of the “trip zone”; allowing your living area to be less cluttered. 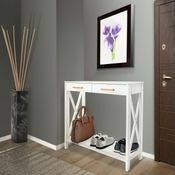 You can also use the table top or bottom shelf to accent your entryway with plants, candles and flowers that greet you when you enter your home. 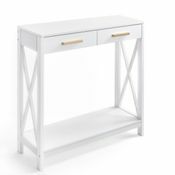 This slender table includes crossed sides that add an interesting touch and a modern flair that blends easily within any style and décor. While we call it an entryway table, you can place it behind the sofa, in the bedroom, mud room or anywhere a compact storage table is needed. Your home is your sanctuary, and your entryway sees a lot of action. Turn that space into a functional centerpiece that decorates, organizes and enhances your space.